Lorenzo Coladonato, the first prize winner of the fifth "Blue Danube International Opera Competition -2013", was born in Italy, graduated from the "Conservatorio G. Verdi" Milan, where he studied piano, composition and conducting. He has participated in master classes with conductors like Aldo Ceccato, Bernard Haitink, Helmuth Rilling and Yuri Simonov. From 2001 to 2010 he worked at the Zurich Opera House where in 2008 made an impressive debut as conductor with R. Schumann’s "Genoveva". There he also had the chance to work with several world renowned personalities; in particular, the artistic figure and charisma of Nello Santi and Nikolaus Harnoncourt have been very important to his artistic development. From 2010 to 2013 he was resident conductor of the Baden-Baden Philharmonic Orchestra (Germany). Currently he is General Music Director of the Mersin State Opera and Ballet, Mersin (Turkey). In 2011 Lorenzo Coladonato made a successful debut at the prestigious Festspielhaus Baden-Baden with the National Philharmonic of Russia and violinist David Garrett. This concert was broadcasted by the German TV Channel ARD-Das Erste and it has been issued on DVD by DECCA – Universal. In 2015 he conducted a new production of Bellini’s "Sonnambula" in Salzburg, "Tosca" in Koblenz and he made a successful debut with Puccini’s "Turandot" at the Bregenz Festival. With more than 200 conducted concerts and a repertoire of nearly 70 operas (from the baroque era to 20th century) he is a skilled and experienced musician, who feels at home in both symphonic and operatic stage. Lorenzo Coladonato has conducted singers like Giuseppe Giacomini, Vittorio Grigolo, Salvatore Licitra, Leo Nucci and Ruggero Raimondi, in Italy, Spain, Germany, Switzerland, Russia and China. 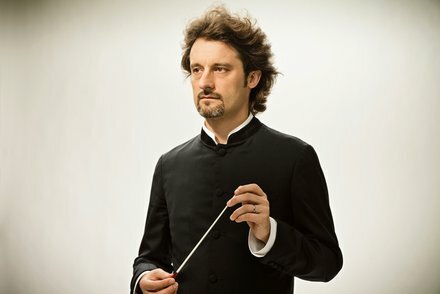 Amongst the orchestras he has worked with: Vienna Symphony Orchestra, Zurich Opera House Orchestra, Mozarteumorchester Salzburg, Musikkollegium Winterthur, Symphony Orchestra of New Russia – Moscow, the National Philharmonic of Russia, Norddeutsche Philharmonie – Rostock, Rheinische Philharmonie Koblenz, Südwestdeutsche Philharmonie – Konstanz, China National Centre for Performing Arts Orchestra – Beijing, National Theatre Orchestra Belgrade, Orquesta de Valencia (Spain), Orquesta Sinfonica de Castilla y Leon, the Pomeriggi Musicali Orchestra – Milan.